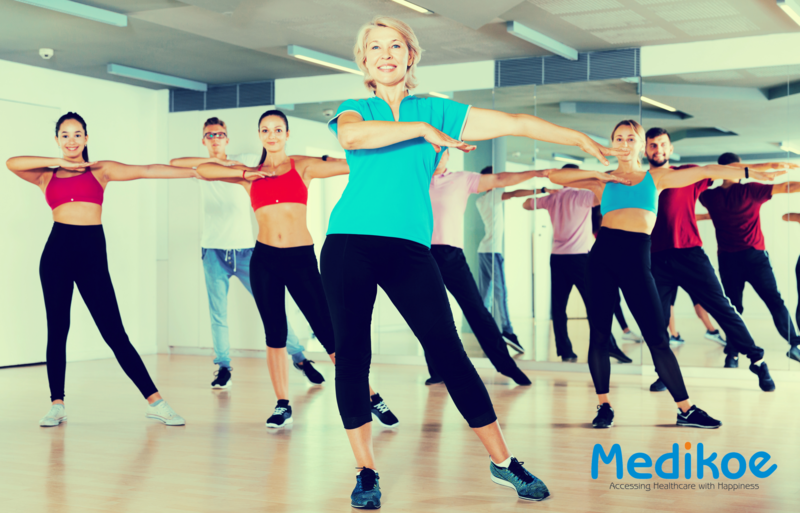 Aerobics is a cardiovascular exercise that pumps up your heart rate and breathing. This form of exercise strengthens your heart and lungs, increasing the efficiency of your cardiovascular system. Brisk walking, jogs and runs, dance, cycling and swimming are all forms of aerobic exercises. Sparing maybe 30mins a day can actually benefit your body in so many ways. Regular practice reduces your risk of cardiovascular diseases and promotes healthy weight loss. Aerobics also reduces everyday stress levels keeping you calm and happy. It ensures you get a good night’s sleep as well which is very important for functioning. The overall benefits result in not just in a healthy physical state but mental state as well.